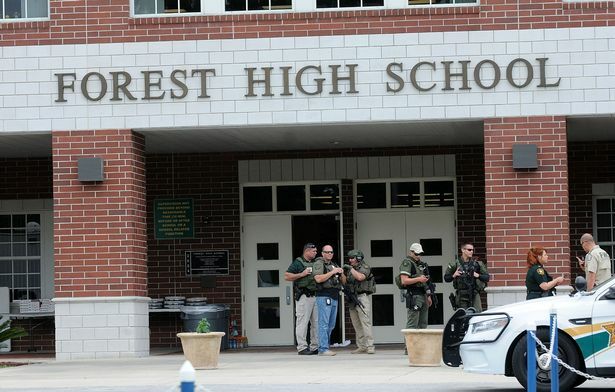 One student was shot after a gunman opened fire at Forest High School in Ocala, Florida. 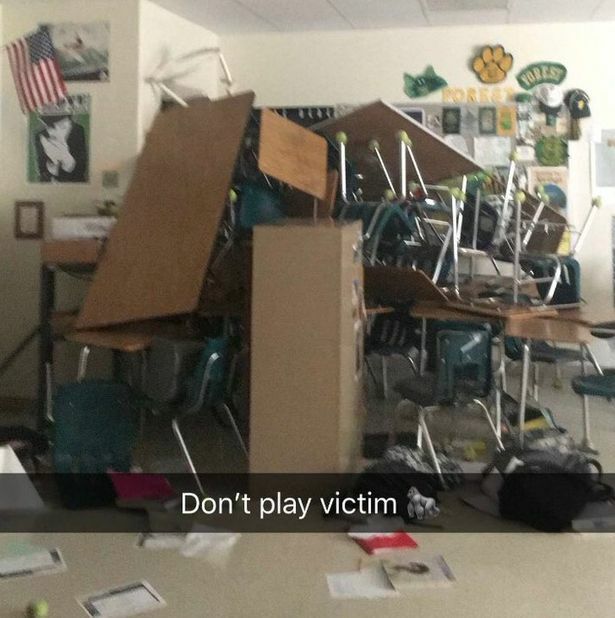 A student at the US school, Jake Mailhiot, took to social media to share photo of the makeshift barricade made by students and teachers to keep the shooter out of their classroom. "I didn't hear anything other than people from other classrooms crying." 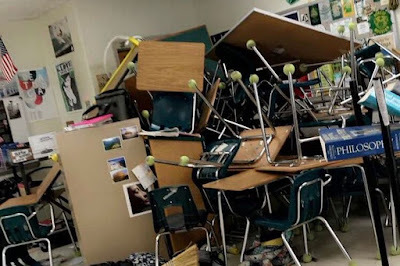 "It was my teacher's idea to barricade the door and my friends and I jumped in to help." The victim, a seventeen-year-old, who sustained a gunshot wound to the ankle was attended to by medics who confirm his injury is non-life threatening. Students were reportedly planning a walk out as part of the national protest against gun violence - in a bid to enforce stricter gun law before the shots were fired. A nineteen-year-old (not a student at the school) was arrested in connection to the shooting. "It's a shame what society has come to in that we even have to be here on a school campus." "Society has changed since I was in school. We as a whole need to do something. My emotions are running rampant." The suspected shooter's motive is unclear. According to reports, the school's resource officer's quick response and active shooter protocols at the school helped save lives.